The bid for FIS Nordic World Ski Championships 2023 in Planica has a great support also outside the borders of Slovenia. 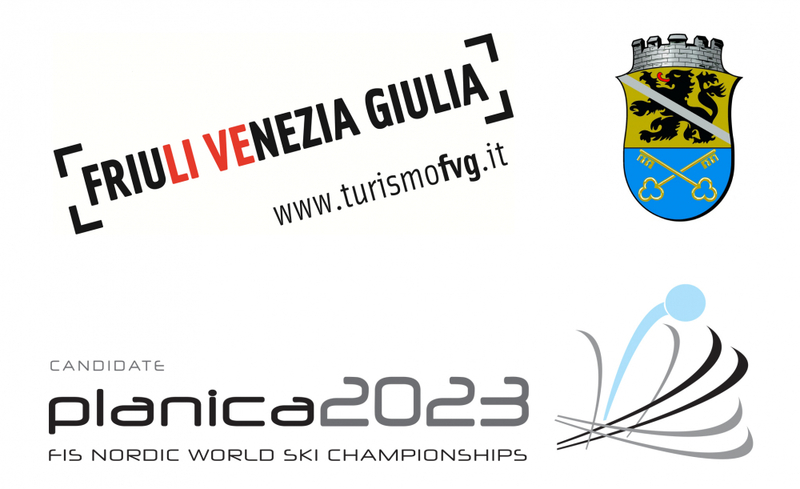 Partners of the candidacy are also region Friuli Venezia Giulia and the municipality Tarvisio who will with their active role and also with financial support contribute to the announcement of Planica as the host of the World Championships at the FIS Congress in Greece on May 17th. Cooperation with Friuli Venezia Giulia and Tarvisio represents a unification of a whole region, which brings about new opportunities in tourism, economic development and international recognizability, before, during and after the FIS Nordic World Ski Championships.